On Jan. 22, an article was published on Philly.com, the website of the Philadelphia Inquirer, with the provocative title, “Are Philly court reporters accurate with black dialect? Study: Not really.” The article is based on a study of selected sentences taped and played for the study volunteers, who were asked to transcribe them as if for court. In asking questions about the accuracy, both the article and the study reinforce the importance of the court reporter’s role in the U.S. legal system. The following is the letter sent on behalf of the National Court Reporters Association and the Pennsylvania Court Reporters Association by NCRA President Sue Terry, FAPR, RPR, CRR, CRC, and NCRA member and Pennsylvania Court Reporters Association President Melissa Keating, RPR, to the newspaper and to the study author. First, we appreciate the principle implicit within both Ms. Owens’ and the study’s content that court reporters are an indispensable part of the judicial process. We agree with the importance of interrupting when proceedings are not fully intelligible, as the resulting transcript imports verity to all who review it. Only a human being, charged with care of the record, is capable of instantly determining unintelligible speech and pausing the proceedings for clarification. We support the goal of improvement within the legal system to protect the rights of those in the system. Court reporters are the last line of defense for the public against process abuse. Our absolute devotion to impartiality and accuracy is designed to ensure a reliable record for readers one day or one hundred years later. It is from that ethical framework of impartiality and accuracy that we note possible misconceptions within the article and foundational study. This study was not live testimony where court reporters do their job. This was a study independent of their employment where taped phrases were played and they were asked to write them and then asked to paraphrase the statements on what the reporters thought the statement meant. In their jobs, court reporters do not interpret; we do not paraphrase. The very nature of our work demands that we not place our subjective judgment of what an utterance should be, or what may have been intended, over what is actually said. In testimony that is difficult for a given listener to understand, there are options available to the court reporter and participants: 1) the reporter can interrupt to gain clarity; 2) engagement of a qualified interpreter to ensure that meaning is conveyed accurately; 3) consulting the court reporter’s realtime display of the transcript to resolve potential misunderstandings. (Only court reporters can provide such realtime displays.) We note that none of these vital options appeared to be available in the foundational study. Protection of the measured and faithful administration of justice is the basis for court reporters’ very presence in the judicial process. Our system of jurisprudence demands that justice be blind, but justice cannot be deaf. We offer our support and expertise for opportunities that help to ensure that words spoken on the record are accurately preserved. The Sinclair Broadcast Group has announced that it will begin using IBM Watson Captioning, a form of automatic speech recognition, for their local television news stations. NCRA feels strongly that this decision is not in the best interests of the end consumer, and we are working diligently to do all we can to protect consumers and educate broadcasters as to the importance of quality captioning provided by a stenographic captioner. This decision has alarmed everyone in our profession, but it is also serving as a catalyst to bring our association of professionals together to assist our deaf and hard-of-hearing community. This isn’t just about captioners and the effect that such a decision has on our work. Court reporters and captioners are not resistant to using technology to improve our lives; in fact, we are on the cutting edge of technology and are using the best platforms available to efficiently provide accurate court records and captions. This decision is about the consumers: the millions of people in the United States who use captioning to absorb vital information, information that will now become garbled, untimely, lacking speaker designations, and often unintelligible, in addition to omitting sound effects, laughter, and music. While automatic speech recognition is evolving, it cannot match the expertise and skill of a trained and certified captioner. The deaf and hard-of-hearing community should have nothing less than full participation in programming. Using automation to disseminate vital information to millions of Americans who rely on accuracy in captioning is not only irresponsible, in our opinion, but potentially dangerous to the end users of our product: quality captioning. NCRA’s Government Relations Department Manager, Matthew Barusch, is working with our NCRA Captioning Regulatory Policy Committee to handle this new development. On behalf of the entire Board of Directors, we have full confidence in their work to address this, but we still need your help. Sign our petition urging Sinclair to change course. If you are in an area with a local Sinclair television news station that has transitioned to IBM Watson, watch the news and closely critique the captions. Enlist the help of your friends and family in doing the same. If you see the captioning is inaccurate, register your formal complaint with the FCC. With your help and our entire community working together, we can make a difference. 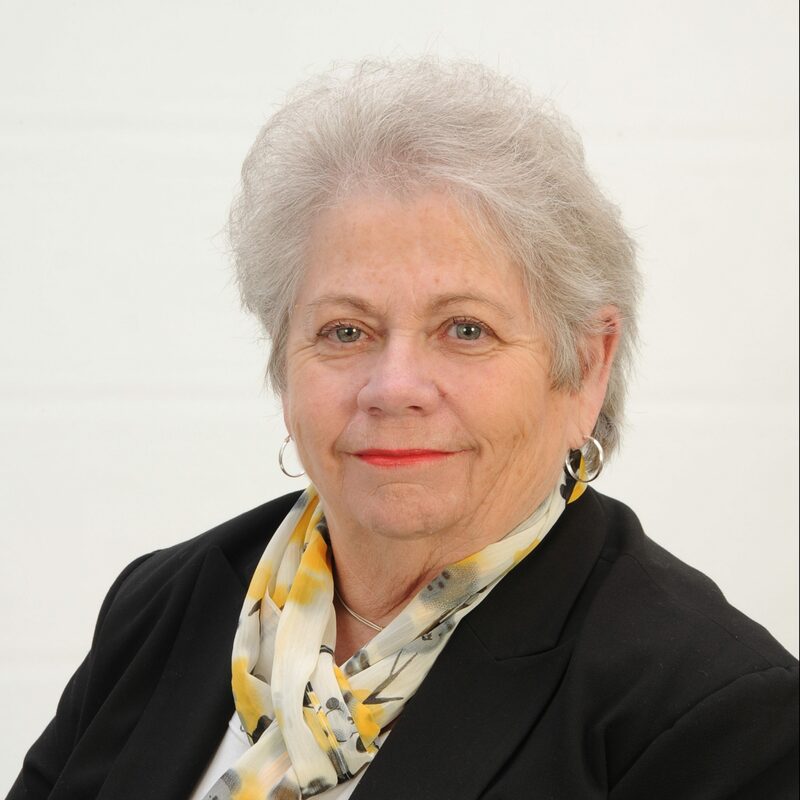 Sue Terry, FAPR, RPR, CRR, CRC, is NCRA’s 2018-2019 President. She can be reached at president@ncra.org. The following is the speech given by Immediate Past President Christine J. Willette, RDR, CRR, CRC, Wausau, Wis., during the Aug. 2 Annual Business Meeting at the 2018 Convention & Expo in New Orleans, La. Five minutes is not nearly enough for me to tell you about the accomplishments of NCRA’s volunteers, Board of Directors, CEO, and staff. I will do my best! My apologies in advance to Andrea Couch, our captioner today. I know she will forgive me. Besides, she’s got amazing skills. Shortly after the last time I stood in front of our membership, the room went dark. I knew then that it was going to be a fantastic year since we had just received a fresh jolt of electricity! As many of you know, leadership has its ups and downs. I am a firm believer that there are no mistakes in life … only lessons. Challenges present opportunities. By choice, I apply lessons learned and move forward in a positive and constructive manner. Allow me to share just a few of our accomplishments over the past 12 months. Immediately following convention, the board set out to vet and hire our new CEO. More than 100 candidates applied. The Board sought a leader with the skill set to get our finances under control and lead our association through a needed transition to position NCRA for a successful future. Marcia Ferranto became a full-time employee of NCRA in October. 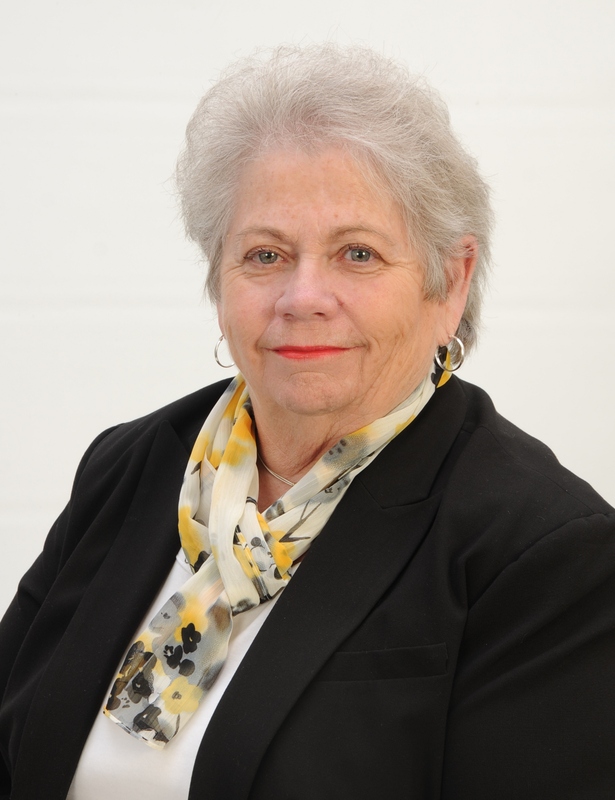 Marcia brings extensive experience, analytical and fact-based decision-making ability, and a keen focus on success. 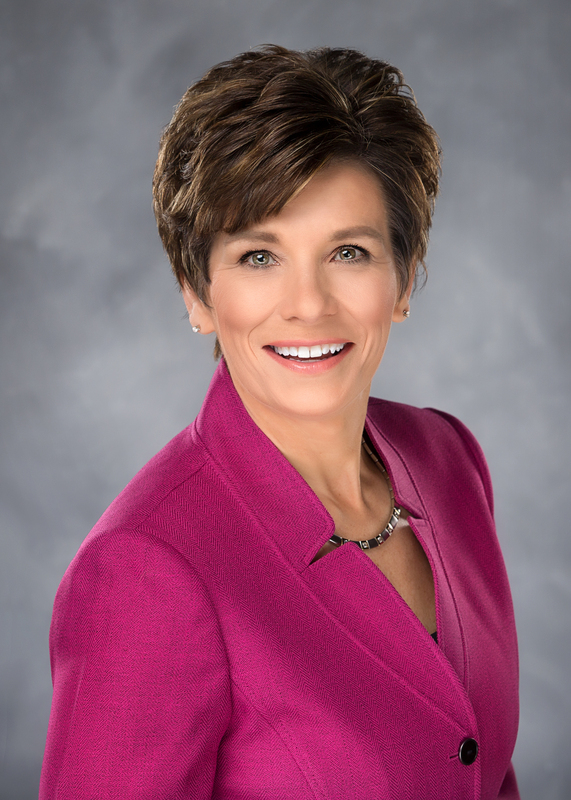 She possesses an energetic, positive attitude, filled with passion for what she loves to do: manage associations. Next, on the Board’s agenda — a new Strategic Plan. Vision 2018 was upon us, and we needed a new plan to define who we are, where we are going, how we will get there, and what success looks like. The Board, together with Marcia and staff, debated, brainstormed, and deliberated for countless hours, and we approved the final Plan in May. The SP has three key priorities with specific deliverables and accountability. The Annual Firm Owners conference — the largest attendance ever — featured an influx of fresh content and networking opportunities. 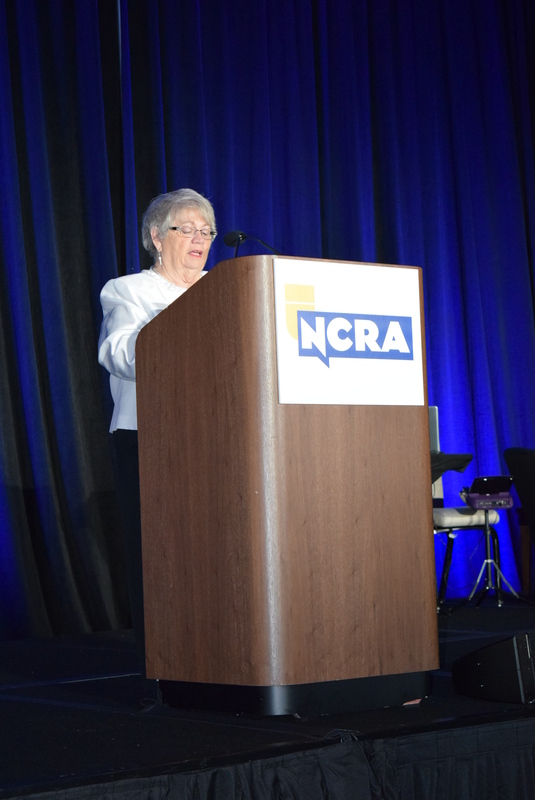 NCRA’s Legislative Boot Camp was completely revamped. 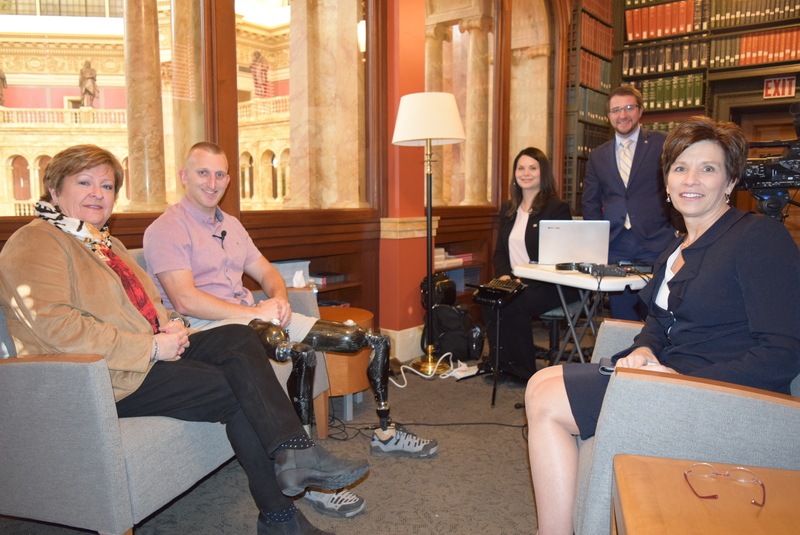 Due to the continued philanthropic work of our Foundation — NCRF — it was a highlight of my year and with great humility that I conducted a Veterans History Project interview of Purple Heart Recipient and United States Marine Veteran Rob Jones at the United States Library of Congress. Google him! Both the CRC and the CLVS certification processes were updated and brought online for easier member access. A CRC certification fast track was approved for experienced professionals in the captioning field, and a guidebook was also created. Most recently, the Board has approved offering an advanced captioning certification. The process for schools wishing to gain NCRA approval has been improved and expanded to allow more schools to become NCRA-approved. Speaking of schools, the NCRA A to Z program is doing a fantastic job of getting students into those schools. Thank you to the hundreds of volunteers who have given their time to facilitate A to Z classes. We have also created an online course so that anyone anywhere who is interested in learning about the magic of our stenographic skill can do so. As I said in last year’s address, the financial position of NCRA was of great concern and a matter on which I intended to focus. With Marcia’s expertise, and in conjunction with the finance committee and our CFO, the Board has adopted a new approach to assessing and monitoring our finances. I am quite confident in the new measures in place. In fact, as reflected in our second quarter financials, we are currently tracking on budget for the first time in years. National Captioners and Reporters Association — NCRA — the proposed name change is the result of in‐depth strategic plan dialogue and the Member Needs Assessment. The new name supports our goals of attracting people to the captioning and court reporting professions and creating a greater awareness of who we are and the beneficial services our members provide. It better reflects the current and future status of the profession. The new name gives better recognition to a growing segment of the Association’s membership: captioners. Including a tagline to our logo — “Steno: The standard in capturing the spoken word” — maintains our focus on representing the professionals who use a stenographic machine to earn a living. Change is rarely easy but often necessary. The transition to reality of the current state of our profession requires perseverance and confidence that the future can be better if we apply what we’ve learned and move forward. The NCRA Board of Directors consists of 14 passionate individuals. My thanks for your dedication. Together with NCRA staff, we create a dynamic and diversified team of subject matter experts. I ask membership to have confidence and understand that we are all in this together. We all seek success and a bright future. It is hard to believe that a year has gone by. Some days seemed to last forever, while others were gone in the blink of an eye. I want to express my gratitude to those who have provided encouragement and inspiration. You know who you are! The messages, hugs, and thoughtful gifts brought a smile to my heart and motivated me to persevere. My life has been enriched by the interactions I have had with members, board colleagues, and staff. I thank God for the ability to work hard, the compassion and drive to give back in service to others, and the perseverance and patience to guide me. I feel blessed to have had the opportunity to serve my profession at this level. I am confident that I have contributed to the advancement of our association, and I am proud of our accomplishments. Indeed, it has required hard work, service, and perseverance. Thank you for the honor. 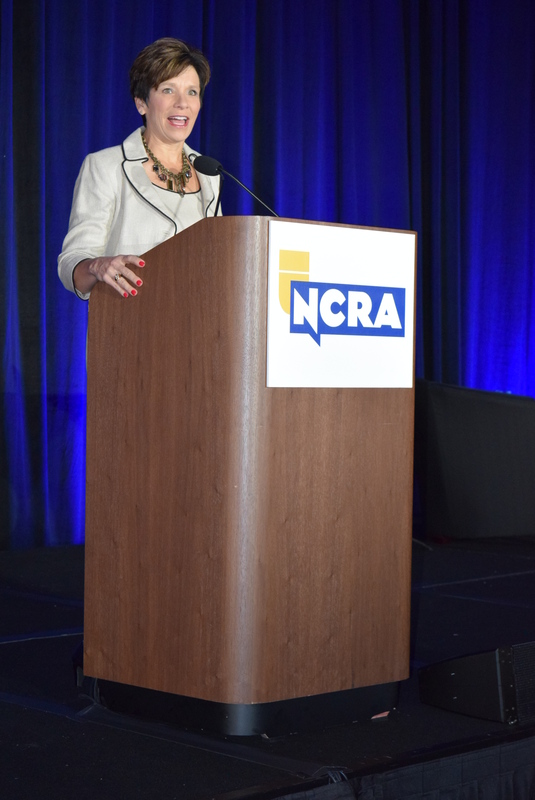 The following is the speech given by 2018-2019 NCRA President Sue A. Terry, FAPR, RPR, CRR, CRC, at the 2018 Convention & Expo in New Orleans, La., during the Aug. 3 Premier Session. Good morning. First, I want to thank each of you for your presence here this morning to kick off the year for our association. I’d also like to thank and recognize my family for being here with me this morning and for the years of endless support you’ve given me, and a very heartfelt thank-you to my husband of 49 years, Keith, who has been my rock since the age of 13. I’d also like to thank my many friends who have supported me, guided me and placed your faith in me. And last, but certainly not least, thank you to each of our board members who came to the table and shared your passion and wisdom in each of the decisions we were tasked with making this year, and there were many. How can I begin to tell you all the things that need to be said in such a short time this morning about us and I do mean us! We are all NCRA. While trying to come up with just the right words to inspire you, I found myself at the Google search bar looking for that inspiration, even resorting to random, silly searches like www.greatinspirationforsueterry.com. I’m sure that every president of this association before me has stepped into their board experience with a vision of how their leadership is going to make a difference, how they are going to improve the profession and better the organization. I know in my heart that is true, and I thank every, single past president of this organization who has stepped up to serve and given freely of their personal time. Thank you. Would every person who has ever served on a state or national committee, board, or task force, please rise. All of you are our true unsung heroes. I’d like to briefly share with you a bit of my background and passion for reporting. My career began like many of yours. I graduated from a local, small-town court reporting program. The program I attended was self-pay, so I had to write a check monthly. I struggled to make those $65-a-month payments and wondered each time I wrote the check if I could hang in there just one more month. I’m so thankful I did stick with it, because it was a life-changer. My final total investment in a phenomenal career was $845, plus the cost of my first new steno machine, a “manual” blue Hedman Stenoprint at a cost of $135, which I paid $90 down and the remaining balance spread over three months. It included a dust cover and two-year warranty. My, how times have changed! Students here today, listen up. 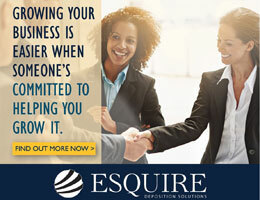 That initial investment has afforded me the opportunity to meet and work with people in every walk of life, from gang members to factory workers, from environmental specialists to the top physicians and surgeons in the world. I’ve been able to be the ears of hard-of-hearing professionals by providing realtime translation for them to enable them to “hear” their meetings and conferences. My $845 investment also afforded me the opportunity to serve as a realtime reporter producing transcripts for President Obama and Vice President Biden at Camp David. How incredible is a career in court reporting! Each of us can tell our own inspiring stories, and we all have similar experiences we can share. We must begin to look for opportunities everywhere to tell our stories. Your story may just be the one that motivates someone to join our ranks or inspires a student to pass that next speed hurdle. That’s what I’m going to ask you to help the NCRA board with today, shaping our future, writing our stories. I can’t do it alone, and neither can this board. We need your help. There are challenges we face as an industry, and I’d like to discuss at least a couple of them this morning. Shortage of new students into our profession. While NCRA has undertaken some innovative solutions to address this problem, such as disseminating information on our Discover Steno website, providing brochures, aptitude tests and other tools to aid our schools, what we can’t do is be the eyes and ears in your community. We’d ask you to go to the Discover web site and review the materials, then go into your communities and host informational events to promote our A-to-Z initiative. It’s going to take a hefty grass roots effort to increase our numbers. I know many of you have gone into high schools, church youth groups. The National Honor Society has estimated there are over one million students participating in their organization. Think of it; one million of the nation’s brightest students. Will you consider sponsoring a small reception at their induction ceremonies to celebrate and mingle with them, their parents and their teachers? You can offer to caption their induction ceremony speeches so they can actually then experience firsthand the vital services we perform. This would give us access to students who have already demonstrated both an academic GPA of 3.5 or above, and also the character of the four pillars of the National Honor Society; scholarship, service, leadership and character. It would give us access to exactly the kind of student we are looking to recruit and gain wider awareness of our profession. NCRA governance. We are an organization ripe for culture change. We must begin to think differently and find ways to build upon our strengths and improve upon our weaknesses. I believe we can greatly improve NCRA governance, and I will be working hard to do that this year. Exploring new markets for our services. There are many new and unexplored opportunities in the captioning industry, and it promises great growth. I will work with Marcia Ferranto and our board to explore some of those opportunities in some new markets this year. I read one survey recently of businesses who estimated their captioning needs for video would grow by 74% in the coming year. There are 300 hours of video uploaded to YouTube every minute. Almost five billion videos are watched on Youtube every, single day. Let’s be sure we are at the forefront of these video captioning opportunities. Protecting our officialships. We must remain vigilant and aggressive in providing education and building relationships that assists us in keeping steno as the preferred method of capturing the record so that we can protect the rights of all litigants who pass through the courtroom doors. Provide strong support for our freelance community by providing educational seminars and resources to enhance their businesses, as well as encouraging and promoting better communications between our freelancers and the firms they serve. In closing tonight, I would say that this board has navigated some very rough waters this year. However, I’ve learned that in life, the things that go wrong are often the very things that lead to change and bring greater successes that couldn’t even have been imagined without the newfound wisdom those experiences teach us. This year, I plan to listen a lot. There’s going to be immense talent around me, and I plan to spend a lot of time listening as this board arrives at the very best decisions they can make for you. I plan to listen to you, our members, for without you, we cease to exist. I would ask you to spend the remainder of our convention celebrating one another, not as captioners or freelancers or firm owners or videographers, but as professionals, united in our purpose and supporting our association. Thank you. Although the entire Strategic Plan will remain under wraps for a few more weeks, I want to provide a brief overview of the highlights. The Plan will be supported by three pillars: financial sustainability, branding, and certification. 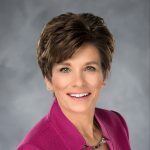 The financial goal will seek to balance the budget over the next three years, and a big piece of that will include NCRA’s Corporate Partnership Program. Branding will consist of updating the image of stenography and creating greater awareness of the court reporting and captioning professions. Certification – and here I pause for emphasis – is our true north. NCRA’s certification program is truly how we showcase steno as the standard for capturing and converting the spoken word to text. Centering our future on certification means both encouraging members to seek and maintain their certifications and informing our consumers that a certified stenographer is the best method for their needs. The new Strategic Plan will establish the direction for the Association for the next three years, and we are looking forward to all the success that this plan will bring to our members. Please join us at the Annual Business Meeting on Aug. 2 during the 2018 NCRA Convention & Expo to learn more details. This Memorial Day, please take a moment to pause to remember all who have served in the armed forces over the years to protect and preserve our freedoms. NCRF and NCRA would also like to thank everyone who has participated in protecting and preserving the stories of these war veterans by participating in the Veterans History Projects across the nation in the past 15 years. During NCRA’s 2018 Legislative Boot Camp, NCRA President Christine J. Willette, RDR, CRR, CRC, Wausau, Wis., had the opportunity to interview double amputee Rob Jones at the Library of Congress as part of its Veterans History Project. In addition to providing a court reporter and CLVS to record the interview, Planet Depos, based in Washington, D.C., created the following promotional video about NCRF’s involvement with VHP. I would like to take this opportunity to address the third-party contracting issues as they have developed over the past few months. In February of 2018, when NCRA was presented with the request to testify in Virginia regarding their legislation, a statement was issued. 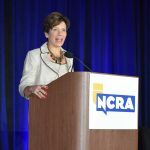 That statement was created based on conversations in which I have participated over the past eight years with NCRA members and my personal knowledge of the industry. A message was crafted by me and reviewed by NCRA’s Executive Committee. The message was provided to NCRA’s Executive Director and CEO, Marcia Ferranto, for delivery to the listservs. That message was not approved by the entire Board. As president, I take responsibility for that statement. 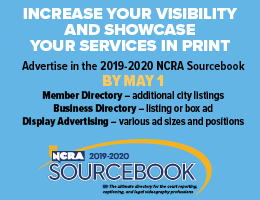 At a meeting held on April 5, 2018, the Board voted to remove all references to the February 2018 statement from the NCRA website. At the same April 5 meeting, the Board voted to rescind the policy adopted by the Board and released to members following the March 9, 2018, meeting. Further, the 1997 Policy in Support of Enactment of Anti-Contracting Laws or Regulations has been amended to add language stating that NCRA will refrain from providing public testimony. NCRA’s model legislation and all reference materials will remain available for use as needed by members. A complete statement prepared and voted on by the Board in an April 16, 2018, meeting can be found at NCRA’s upgraded and newly designed website. Be sure to have a look around! I would like to thank the Board for the tremendous commitment and deliberation I have witnessed surrounding this issue. I have had many conversations with members over the past few months. It is my personal belief that this topic, while emotional, convoluted, and important, must evolve to reflect the industry as it exists in 2018 and moving forward. However, the immediate need to build awareness of the stenographic profession, recruit and graduate new reporters and captioners, promote certification, and provide quality continuing education opportunities so we are a bright reflection of our industry remain my key priorities as I close out my term as 2017-2018 NCRA President. Thank you for your continued dedication and support of our profession. NCRA President Chris Willette, RDR, CRR, CRC, can be reached at president@ncra.org. The NCRA Board of Directors apologizes for the confusion surrounding its recent discussions regarding contracting. At our meeting on April 5, 2018, we voted formally to remove the February 2018 statement that appeared on the Government Relations page of the NCRA website. The Board formally directed this removal because there was never any Board motion or vote taken at the November 2016 Board meeting as was suggested. Also at our April 5, 2018 meeting, we voted to rescind the Policy adopted at our March 9, 2018, meeting. This action was taken because the March 9, 2018, vote was interpreted by some as signaling that NCRA was rescinding or superseding our 1997 Policy Statement. Our actions on April 5 make absolutely clear that the only change that the Board has approved to the 1997 Policy Statement is that NCRA will refrain from providing public testimony. 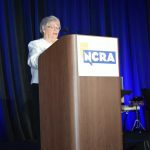 No other changes in the nature or level of NCRA’s activities were discussed, and NCRA’s model legislation and all toolbox materials will remain available as in the past. See this statement on NCRA’s website.